Foreign exchange risk affects companies and investors, and can be material to business results, firm valuations and internal rates of return. An active FX management plan involves helping to remove uncertainty through the deployment of natural remedies and, if necessary, financial instruments. Active management of FX risk can help stabilize performance, enable more confident planning, and minimize maximum regret. Global corporations and investors end up with currency risk somewhat by accident. It’s a byproduct of doing business or investing internationally, created the moment your operations or your capital crosses domestic borders. Currency risk cannot be destroyed; it can only be dealt with, managed, and transferred. Unfortunately, it is often ignored. What is passive FX management? Many growing companies buy or sell currencies only as triggered by operational needs. The cost of an unexpected rate change is usually absorbed as if the expense is unimportant, handled like tourists waiting to buy euros until they are actually in Europe. Along similar lines, when venture funds call for capital, they may buy the currency they need to close an overseas transaction at the time of the demand, without considering the expense of unplanned losses due to currency movement. This approach is called passive FX management. What’s wrong with buying currency as you need it? If your company is moving enough money to result in significant currency risk, a passive strategy may not be enough. Currencies move, and they can move against you. The foreign asset that you thought would cost you a fixed amount of dollars can end up costing more dollars than you planned for. This unexpected expense is purely from movements in the exchange rates that would be considered “typical” based on historical patterns. Similarly, foreign currency-denominated assets, expected cash flows and future unpaid dividends are also at risk of US dollar-value (USD) erosion. Some innovation sector companies have the luxury to bill and collect in USD for the products and services they sell outside the US, but some do not, due to competitive pressures. Thus they must price products and services to overseas markets in foreign currencies. A fall in the value of foreign currencies will affect key business management metrics, including topline revenue, EBITDA (Earnings Before Interest, Tax, Depreciation and Amortization), and sales margins. The impact may be high enough to be material, ultimately jeopardizing the valuation of the company. We know of a fast growing software company that takes in USD for annual subscriptions. The firm decided to set up an R&D facility in Asia. The company quickly found that an unexpected rise in the foreign currency had eaten into its runway, causing capital to run out two months earlier than planned. The impact on valuation is especially important to any growing company eyeing an initial public offering. The moving currency exchange rate that had been a simple byproduct of doing business internationally, and considered a nuisance, could suddenly affect the company’s Rule-of-40 metric, an important pre-IPO benchmark in the software-as-a-service space. Active FX management is about awareness, analysis and quantification. The rule of thumb is to exhaust all the natural risk mitigation alternatives first, then if appropriate, to use derivatives to mitigate risk. Start with risk discovery: identification of the areas of the business or investment portfolio that may be adversely impacted by movement. The first question to answer is whether foreign currency exchange rates present a material risk to the business. Is FX material to your business? 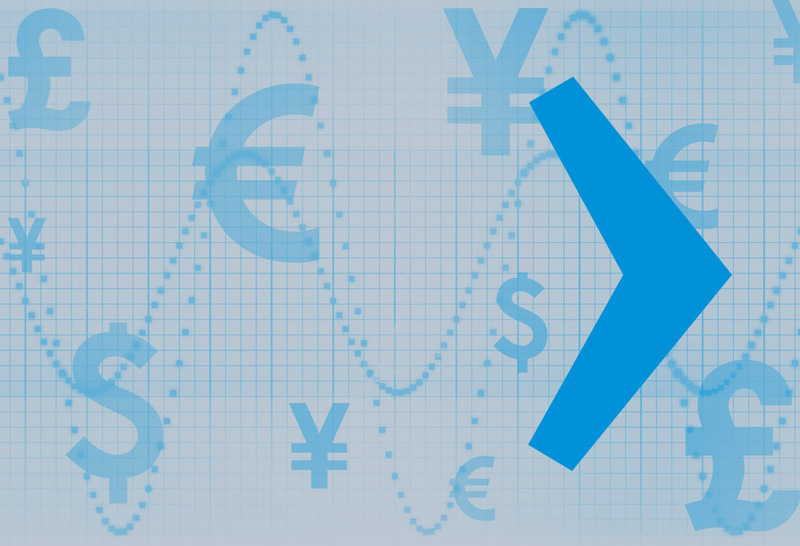 Do you need to worry about whether FX will affect your business performance? This depends on some basic attributes which determine the materiality of the potential expense of FX. In our next FX Risk Advisory article, I’ll provide an extensive list of the attributes that signal a higher risk of FX materiality. For now, here is one way to analyze FX materiality specific to your current business operations: Examine your budgeted FX revenues/expenses against actual revenues/expenses. Was the difference material? If so, the value-add of going from a passive to an active FX management strategy may be well worth the effort. FX is material to my business. What do I do now? Is derivative-based hedging the answer? Not always. Another type of hedging, called natural organic hedging, is also available and should be evaluated first for possible implementation for your business. Apply these strategies, some of which are listed below, before you consider derivatives or any other financial instrument to manage FX risk. Natural organic remedies are mitigation strategies solely driven by your business operations decisions. Several of these are (by definition) hedging strategies, but they are not tied to any non-currency related financial instrument. To the extent possible and without damaging your competitive position, price goods and services in USD, or pay vendors in USD. If you anticipate having to buy foreign currency for payment of goods/services or investment assets, buy and hold the currency today in a multi-currency account. Refine your repatriation strategy. For instance set aside excess euros and use them for European expansion or future euro-denominated costs, with help from acrobatic accounting to ensure you avoid income statement volatility in the interim. Establish a liability stream in the country where you have revenues and vice versa. Explore the merits of non-USD borrowing or credit cards for procurement. If you have global funds in the US that you plan to deploy outside of the US, but you have not yet identified any acquisition targets for these funds, then simply buy and hold the target currency now before you participate in any deal negotiations. Hold a diversified portfolio of currencies now as an appropriate strategy for positioning for future asset acquisitions, in case the target countries have not yet been identified. These natural remedies arise from decisions that you control for your business. However, they may not be enough to reduce your possible costs to the point where you are comfortable. Nonetheless, we recommend that you exhaust all your natural remedies before turning to other types of hedging. After adopting these natural remedies, if your company’s exposure to currency swings is still too high in the context of the business valuation, topline revenue targets, or desired internal rate of return (IRR) metrics, then other tactics may be needed to protect your bottom line. For instance, your company can incorporate derivatives or financial instruments such as non-USD denominated debt, which can further reduce the uncertainty of FX. Handled actively and strategically, active management of FX can transform an unpredictable drag on your performance into earnings, margin improvement and total returns. Exchange rate changes are not within your span of control. Nor are they predictable with respect to any other factor, as they may move independently of any other value stream. You can’t eliminate the risk of currency swings, so you should design a way to hold your exposure to a level you can live with. Implementing an appropriate active FX management strategy into your company’s financial planning and analysis (FP&A) process can help mitigate currency risk, provide more accurate reporting, and establish benchmarks against which to measure performance. For global investors, an active approach to managing currencies may translate into better pre-deal close return visibility and, ultimately, greater control of realized IRR. If you’d like to discuss your specific situation to determine FX materiality or to explore the merits of active FX management, contact your SVB FX Advisor directly, or Ivan Oscar Asensio, SVB FX Risk Advisory, at iasensio@svb.com. ©2019 SVB Financial Group. All rights reserved. Silicon Valley Bank is a member of the Federal Reserve System. Silicon Valley Bank is the California bank subsidiary of SVB Financial Group (Nasdaq: SIVB). SVB, SVB FINANCIAL GROUP, SILICON VALLEY BANK, MAKE NEXT HAPPEN NOW and the chevron device are trademarks of SVB Financial Group, used under license. This content is intended for US audiences only. This material, including without limitation the statistical information herein, is provided for informational purposes only. The material is based in part upon information from third-party sources that we believe to be reliable, but which has not been independently verified by us and, as such, we do not represent that the information is accurate or complete. The information should not be viewed as tax, investment, legal or other advice nor is it to be relied on in making an investment or other decisions. You should obtain relevant and specific professional advice before making any investment decision. Nothing relating to the material should be construed as a solicitation or offer, or recommendation, to acquire or dispose of any investment or to engage in any other transaction. Foreign exchange transactions can be highly risky, and losses may occur in short periods of time if there is an adverse movement of exchange rates. Exchange rates can be highly volatile and are impacted by numerous economic, political and social factors, as well as supply and demand and governmental intervention, control and adjustments. Investments in financial instruments carry significant risk, including the possible loss of the principal amount invested. Before entering any foreign exchange transaction, you should obtain advice from your own tax, financial, legal and other advisors, and only make investment decisions on the basis of your own objectives, experience and resources. Opinions expressed are our opinions as of the date of this content only. The material is based upon information which we consider reliable, but we do not represent that it is accurate or complete, and it should not be relied upon as such. Ivan Oscar Asensio advises global corporations and institutional investment managers on solving problems related to currency risk. He has held similar roles at HSBC, Merrill Lynch & Co., and Bank of America in New York, San Francisco and Los Angeles. His approach when engaging clients involves the use of quantitative techniques for purposes of risk discovery, risk quantification, and ultimately the development of tailored strategies that are consistent with the institution’s stage in the life cycle, performance objectives, desired accounting presentation, and risk tolerance. Dr. Asensio received his Ph.D. in economics from the University of California, Santa Cruz. He also holds an M.S. degree in statistics from UCLA, and dual-undergraduate degrees in finance and mathematics from USC.